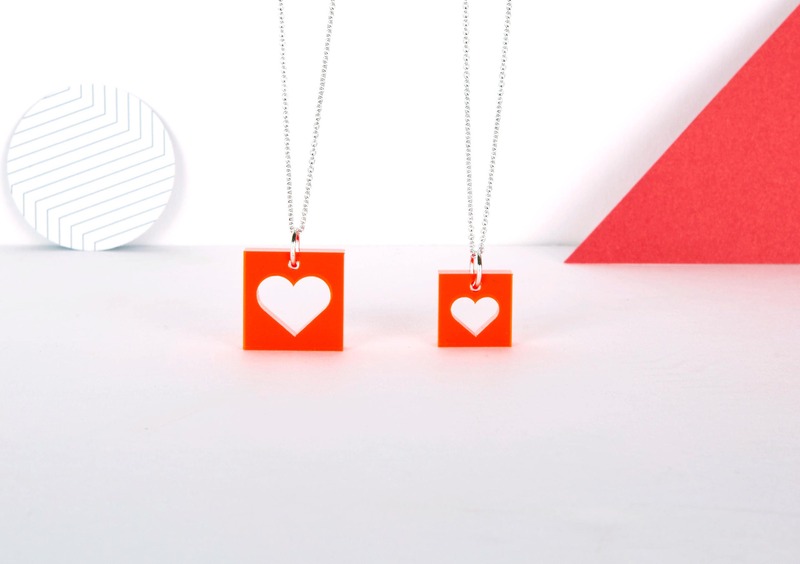 Make a statement with this playful transparent neon red HEART acrylic necklace. 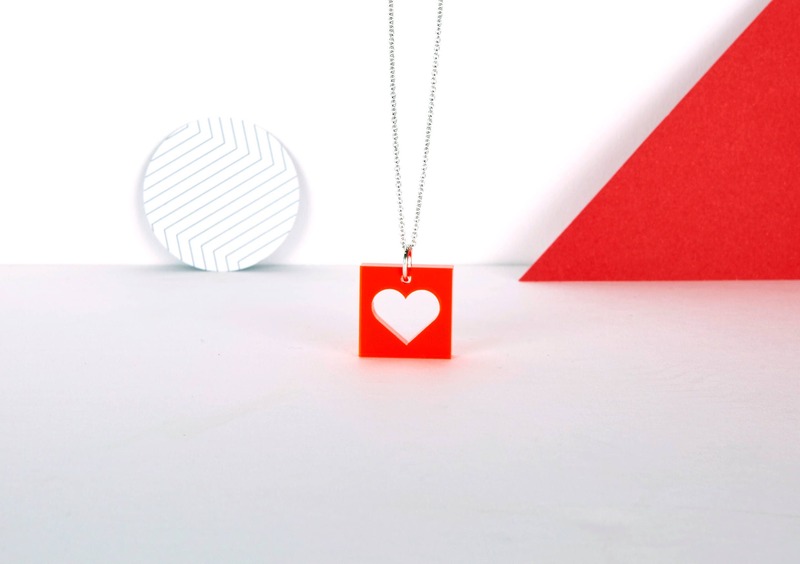 Simple heart design, laser cut from 5mm pink transparent acrylic then assembled by hand to a 16" silver plated chain. 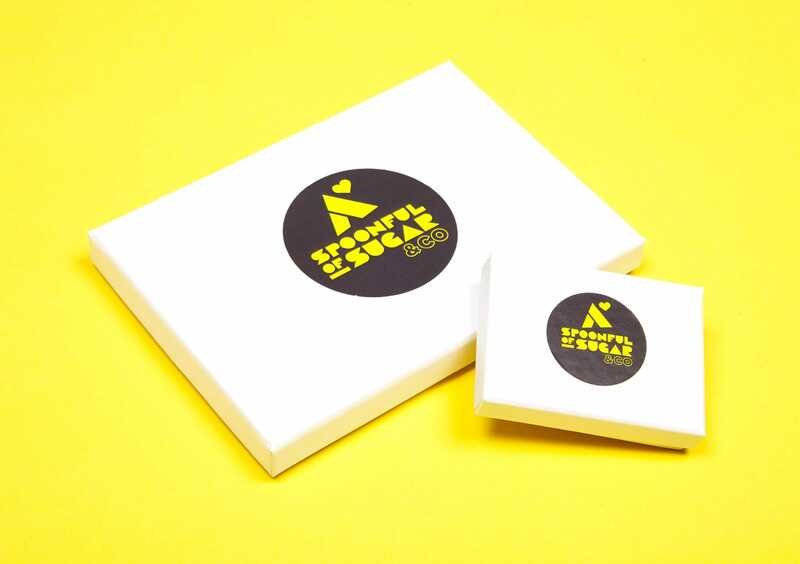 The necklace will come presented on a geometric pattern Risograph print and beautifully packaged in a small white gift box.